British Airways is the only airline to offer a direct Business Class flight from London to Santiago. Other airlines such as United and KLM, Air France and Alitalia offer flights with connections in other cities. BA flies from Heathrow to Santiago four times weekly in roughly 14 hours 20 minutes, utilising a Boeing 787 Dreamliner. 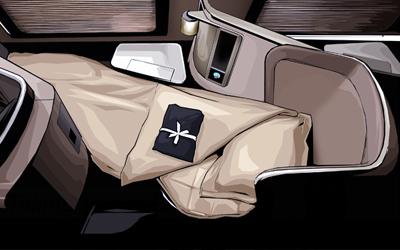 The airline’s Club World cabin features 42 lie-flat beds with 10.4″ entertainment screens and power ports at every seat. As a Business Class passenger you’ll receive priority check-in, security and boarding, along with access to the Galleries lounges at Heathrow, where you can enjoy complimentary beverages and help yourself to food from the self-service buffet. If you’d like to be pampered before your flight, you can also enjoy a complimentary treatment in the Elemis Travel Spa. Onboard the aircraft British Airways has made a number of investments into improving its Club World product, offering luxury bedding by The White Company, as well as amenity kits containing products from the retailer’s Restore & Relax Spa Collection. Santiago Airport is located around 15km from the downtown area, so you can easily hail a taxi to take you into the city. Be aware though that traffic can be bad, so it can sometimes take anywhere from 20-45 minutes. Black and yellow taxis run by the meter, while the blue tourist taxis have fixed fares depending on their destination. If you pay a fixed fare you’ll be given a voucher showing your destination, fare and taxi stand location in the Vía Controlada area. Expect fares to range between CLP 12,000 and CLP 30,000 for any ride to downtown from Santiago Airport. To avoid scams, make sure you use only official taxis and avoid people who approach you in the baggage area. The Singular Santiago Lastarria Hotel is a family owned hotel with a neo-classic design, offering stylish and comfortable lodging within easy reach of Santiago’s attractions. A highlight is the rooftop bar – one of the best in Santiago – which has over 115 liquors to choose from, along with a privileged view of a privileged view of the San Cristobal hill. If you’re feeling peckish book a table in Restaurant The Singular, which serves dishes prepared with techniques from France but using locally sourced ingredients. Located in the commune of Vitacura, a few steps from Alonso de Córdoba street, the Atton Vitacura offers spacious lodging with views of the Los Leones Golf Course, Santiago city and the Andes mountains in the distance. Each of the 295 rooms has views of the city or Club de Campo Los Leones, along with complimentary wifi and breakfast. The hotel also features an outdoor pool, gym, business center and Mediterranean restaurant with Italian influences. 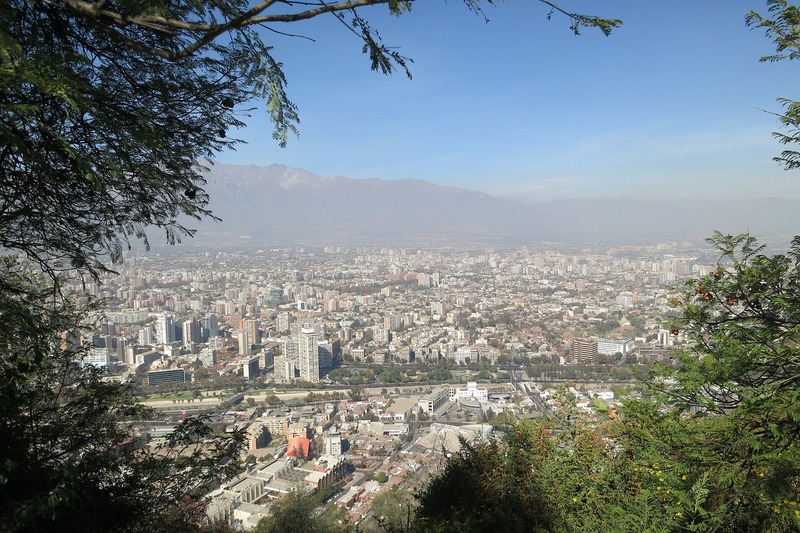 Ride the funicular – On a clear day, ride the funicular to the top of Cerro San Cristóbal, where you can enjoy epic views of the metropolis and the Andes mountains in the distance. Visit the museums – Located at the edge of Plaza de Armas, the Museum of Pre-Columbian Art features indigenous artefacts, Mapuche totems, Inca pottery and the Chinchorro mummies. You can also visit the Museum of Memory and Human Rights, which documents human rights violations and “disappearances” that occurred under the dictatorship of Augusto Pinochet between 1973 and 1990. 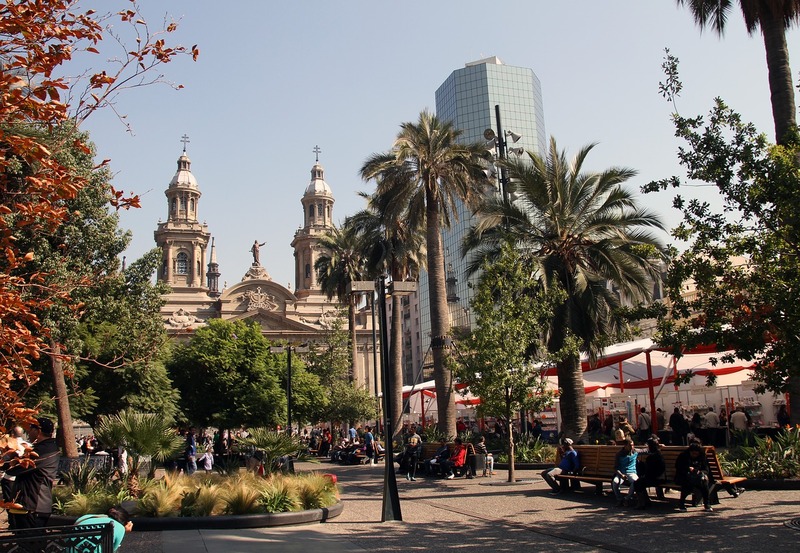 Walk around Barrio Lastaria – José Victorino Lastarria street is a lively street filled with shops, museums, restaurants and art galleries. The neighbourhood is popular with tourists who come to stroll the area’s historic streets and dine in one of the many restaurants. British passport holders do not require a visa to visit Chile for trips of under 90 days. Just remember to retain the Tourist card issued on arrival to present on your departure. Ready to book your Business Class ticket to Santiago and explore the beauty of Chile? Call 0207 255 1234 and we will find you the very best fare for your dates. We offer prices that can’t be found anywhere online and are cheaper than booking with the airline direct!